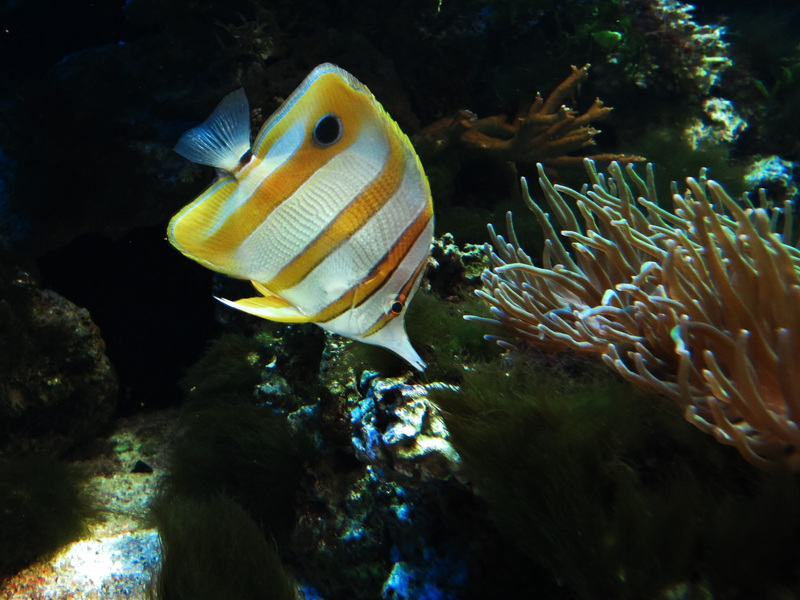 Cuban Fishing, 3/7/15: Peces Mariposa or Butterfly Fish are a group of tropical marine fish found in Cuba. Cuban Fishing, 3/7/15: Pez Mariposa, Chelmon Rostratus By Jacinta Iluch Valero Via Creative Commons. “Peces Mariposa, the family Chaetodontidae or butterfly fish, are a group of conspicuous tropical marine fish. Found mostly in reefs of the Atlantic , Indian and Pacific , are somewhat small, 12-22 cm in length (the larger species, such Lined butterflyfish , reach 3 dm). There are approximately 127 species in twelve genera. Not to be confused with Freshwater butterflyfish family of Pantodontidae . They are generally diurnal and surface waters less than 18 m (some still reach 180 m), and these are very territorial corallivorous in the coral. In contrast, those who eat zooplankton form large conspecific groups. At night rooming in crevices and cracks of the reef and exhibits marked differences in coloration with the daytime. Feature Image: Pez Mariposa, Cuba By Bernd Kirschner, Via Creative Commons.